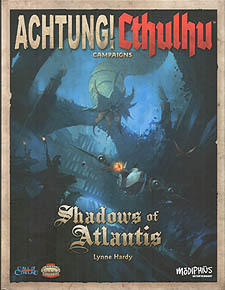 A terrifying World War Two campaign, fully compatible with the Call of Cthulhu, Sixth Edition and Savage Worlds roleplaying games. A multi-part adventure campaign that takes your investogators to the four corners of the Earth and beyond. In fact, a whole dossier's worth of useful historical and fantastical information to help you save the world from an ancient threat from beyond space and time.